Your tooth is so sensitive to cold drinks and to pressure you can hardly stand it. You must address this problem, but you're afraid your dentist will advise a root canal. Don't worry. Root canal therapy with Dr. Pier Cipriani at Cipriani Dental Associates in Newton, PA stops dental pain and sensitivity, potentially saving a tooth from needless extraction. A root canal is part of your tooth. 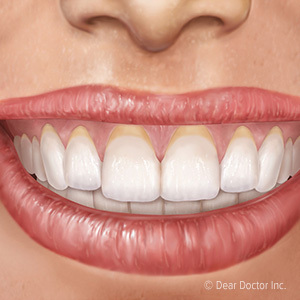 In fact, front teeth have one canal, and back teeth can have up to three or four. Hollow and filled with soft pulp, nerves and blood vessels, these chambers supports and nourishes the tooth but are not essential to its long-term function. As such, if the pulp becomes damaged and inflamed, your Newton dentist may remove it with endodontic therapy, the official name for root canal treatment. Your symptoms, visual examination and X-ray imaging tell Dr. Cipriani if your tooth is deeply cracked, extensively decayed or abscessed (infected). These situations call for endodontic therapy to clean out the root canals and to fill and support the interior structure with an elastic putty known as gutta-percha. After sufficient healing time, Dr. Cipriani places a custom-made porcelain crown which will protect your tooth and restore its functionality and appearance. 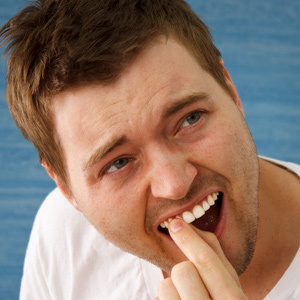 Root canal therapy does relieve the pain associated with infection. Plus, as part of the process, Dr. Cipriani places antibiotics in the canals and may even prescribe oral antibiotics for you to take as you recover. As your tooth heals, the surrounding gums and bone may still be sore for a few days post-procedure. You may even feel a bit of dental sensitivity; however, this will resolve, and your fully restored tooth will be pain-free. A patient needs a root canal and crown when a congenitally misshapen or weak tooth (a peg-shaped incisor) shows signs of failure. The American Association of Endodontists says that getting a root canal is no more painful than a simple crown or filling procedure. So, if Dr. Cipriani looks at your tooth and says you need a root canal, be confident that all will be well. Contact Cipriani Dental Associates today to arrange a consultation. Call (215) 968-0620.